Preserving pictures is just as important as taking them. Picaboo simplifies the process with quality products and an easy to use online interface to help showcase your finest memories and for a limited time, you can save 20% on a range of merchandise. Available in hardcover or softcover, Picaboo’s classic photo books are the perfect way to record life’s more important moments. For expecting parents, pictures can be taken on a weekly basis of the growing baby bump, along with notes and mementos to the child for when he or she gets older. Whichever way you choose to use the photo book, whether for a baby shower, a wedding, or perhaps to record your child’s first years, it’s sure to become one of the family’s treasures. And the best part? 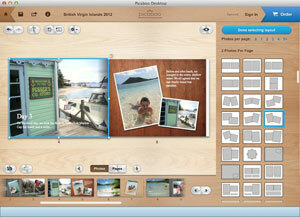 Picaboo Desktop, a free application for both PC and Mac’s, makes it absolutely easy to create your very own treasures. Let us know on our Facebook page how you’ll be using Picaboo to transform your memories.